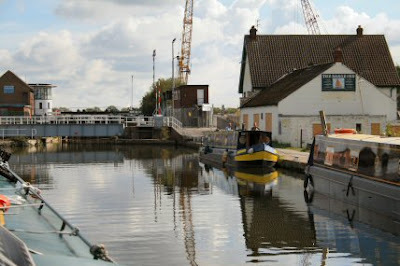 narrowboat_Abigail_Jenna: Ready to go on the Trent - Maybe but no? 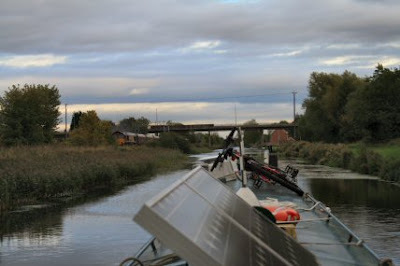 Eventually we managed to get through the bridges. 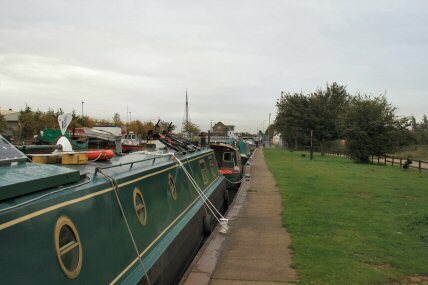 The wind only had to drop for an hour or so and we arrived at Keadby. Had a quick chat to the Lockie and it seems that a number of boats are going out on Tuesday so we will just have to loaf about for a day and a half. The stress :-) apart from that its a lovely sunny day. 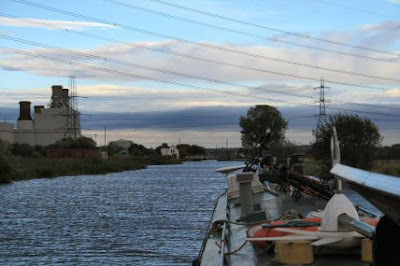 Well we were going to go out onto the Trent. A boat came up stream at the high tide and had a slight problem. 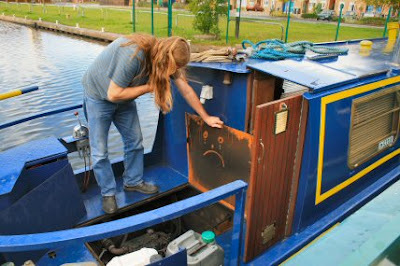 One of the engine holding-down bolts had sheared earlier then another and another then just as she entered the lock the last one went. Lot of noise - exhaust detached so lots of smoke inside the engine room. A large Oopppps you must agree. 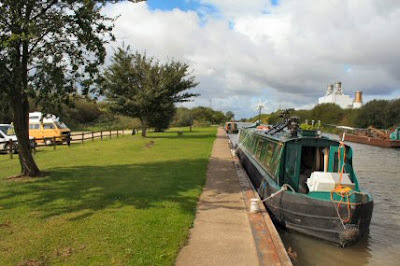 The boat came alongside as we went off for a walk. 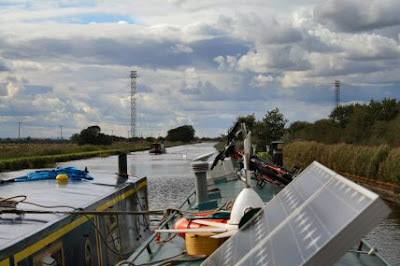 Had a word with helmsman and said we could tow him back to Thorne or go on our walk. He chose the Thorne option. :-) So I spins the boat around and go alongside to tie up. 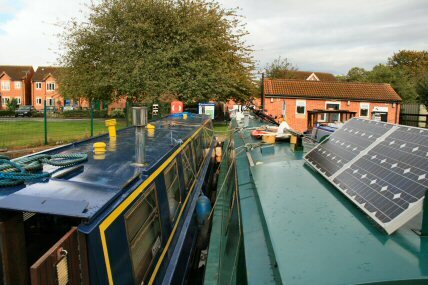 There isnt a great deal of room getting through the swing-bridge holes but plenty with a little care. Moving from side to side take a little thought with the extra drag of the towed boat but it is very helpful in some situations if you use the drag to swing the boat where it is needed. Miss Liz Middleton - at least this is who Thorne Boat Services thought had left the boat and I assure you that its a Les - gets on the phone to warn friends that he is on his way to Thorne. 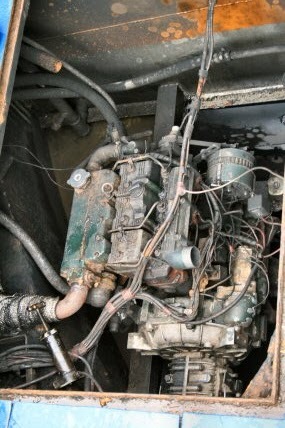 The engine hole was in bit of a state as you can see by the graffiti that is soon left behind by 'friends' :-) in photo below. 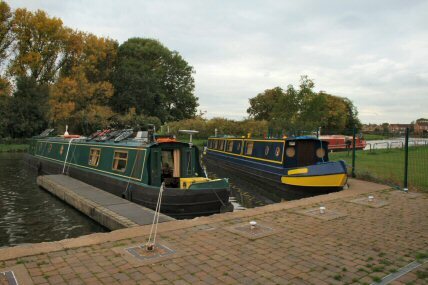 I managed to slot the pair of us into the facilities moorings and as it was late on Les wrote a note out for the boatyard explaining what was happening. Friends of Les turn up to give a lift home and examine the mess in the engine room. 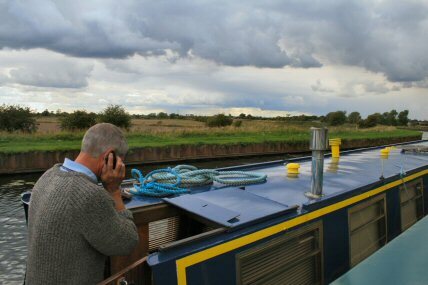 As I am about to go back to Keadby I move the boat across to the side and re-moor it. 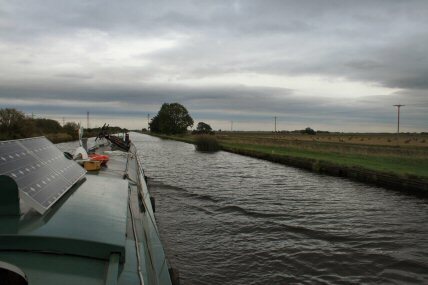 The wind is back :-( Not as bad as it was but it is now overcast and gloomy. At least the rain is falling on someone else. 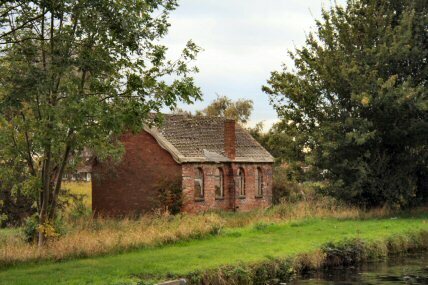 On the way I spot the old Methodist chapel that is slowly falling to bits. Sad. Plenty of sideways movement in the wind. 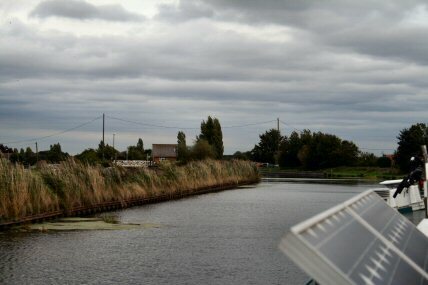 At Crowle I even get a blast from a passing train. Its a pity that some of its load couldn't go by water. At last its the last two bridges. One we open and the other the railway. A bit windy so stop have a cuppa and then the wind drops so we shoot through.